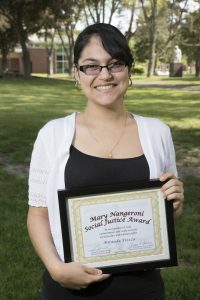 We are pleased to announce the selection of Miranda Frezza as recipient of the 2016 Mary Nangeroni Social Justice Award at Merrimack College. The MNSJA is an award recognizing students who study and involve themselves in social justice, towards keeping alive the best of the spirit of Mary Nangeroni. 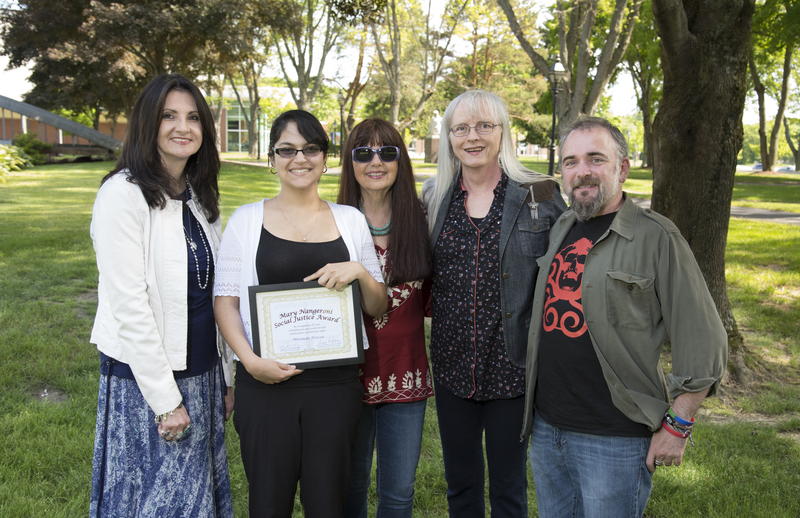 2016 MNSJA recipient Miranda graduated in May with a double major in Women's & Gender Studies (WGS) and English. She was honored at a luncheon by retiring WGS Chair Gordene O. MacKenzie, incoming WGS Director Dr. Debra Michaels, and Social Justice Director Dr. Luis de Viguera Erkiaga Saenz, as well as Nancy Nangeroni, Massachusetts Transgender Political Coalition Chair Emeritus and daughter of Mary Nangeroni. Read Miranda's poem, watch her videos here.